Exclusive! Sweet kittens are all dressed up in their holiday finest! 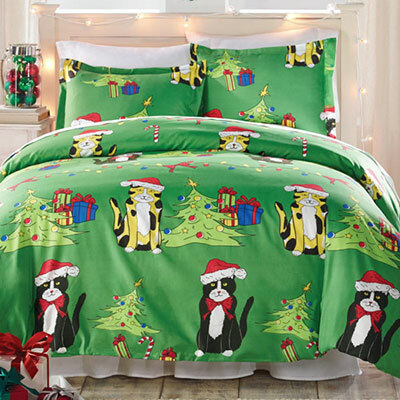 Our Meow-y Christmas Duvet Set is easy-care and super-soft, this polyester microfibre bedding will keep you warm and cozy all season long. Button closure. Machine wash. Imported.